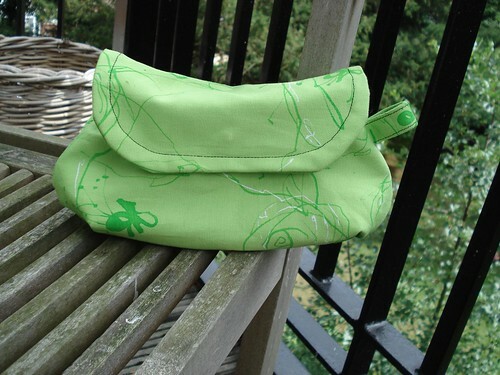 I had been looking for a messenger bag pattern for ages when I came across the Mischievous Gnome Messenger Bag, by Sew Liberated, at Concha‘s blog. The thing with patterns is that what the photos show might not be what I am able to achieve, so I like to read people’s comments on things they have used and enjoyed; reading Concha’s post and seeing her photos of the bag really did it for me. I am very pleased with it and I highly recommend it if you’re looking for a messenger bag or something of the sort. The instructions are very clear and easy to follow and it even teaches you (or me, anyway!) 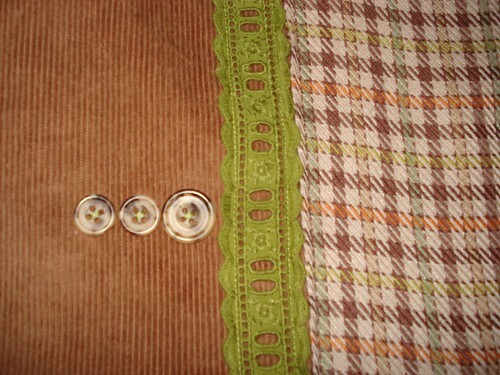 to sew an inside pocket with zip! How cool is that? The bag itself is also brilliant! A bit bigger than what I’d normally go for, but great nonetheless. 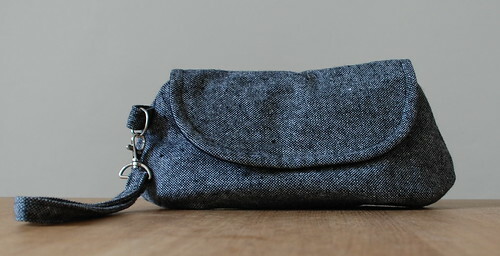 It has two front pockets, a bigger back pocket and the mentioned inside pocket. Now, the adventure of sewing it. I have never ever tried iron-on interfacing. 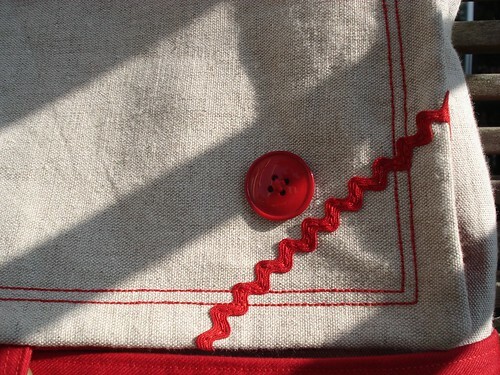 I knew this bag needed sturdiness, so I used heavy-weight canvas for the interlining. 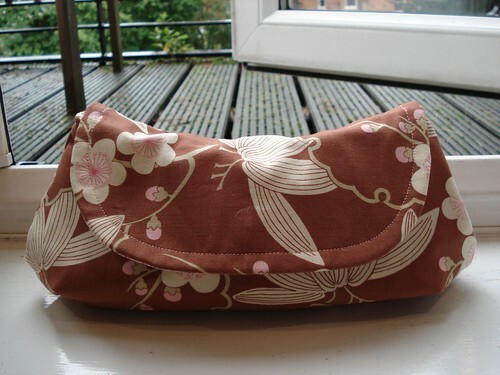 The lining is also from a mid-weight cotton and the outside linen is fairly sturdy as well. While this achieves the sturdiness goal, it was a bit tricky to sew! A lot of patience and plenty of machine needle changing ended up doing the trick! Finally, I now own a red bag, yay!